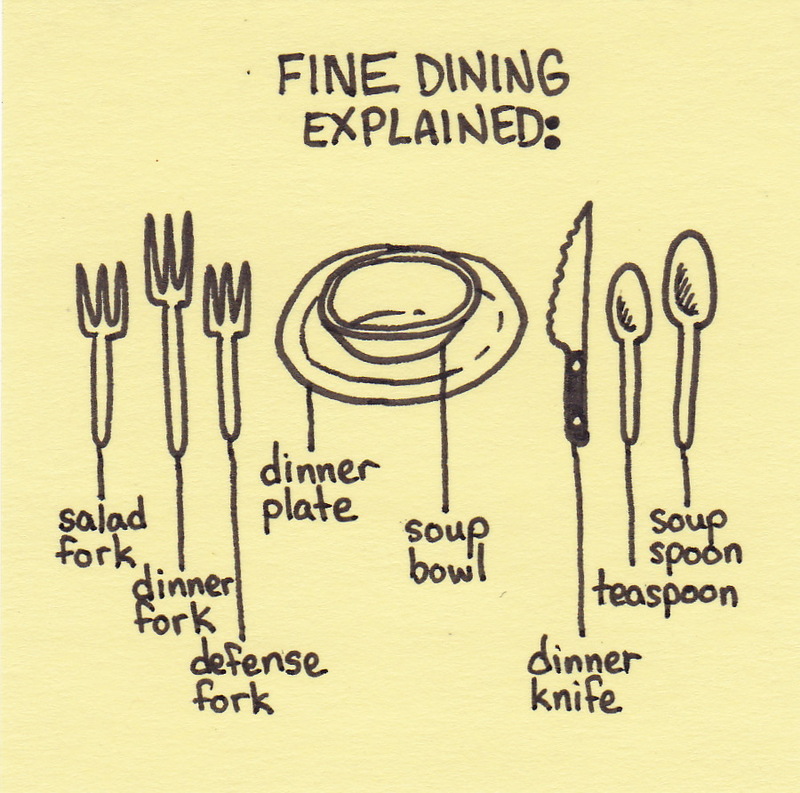 I know it’s really the dessert fork, but I don’t like to share. 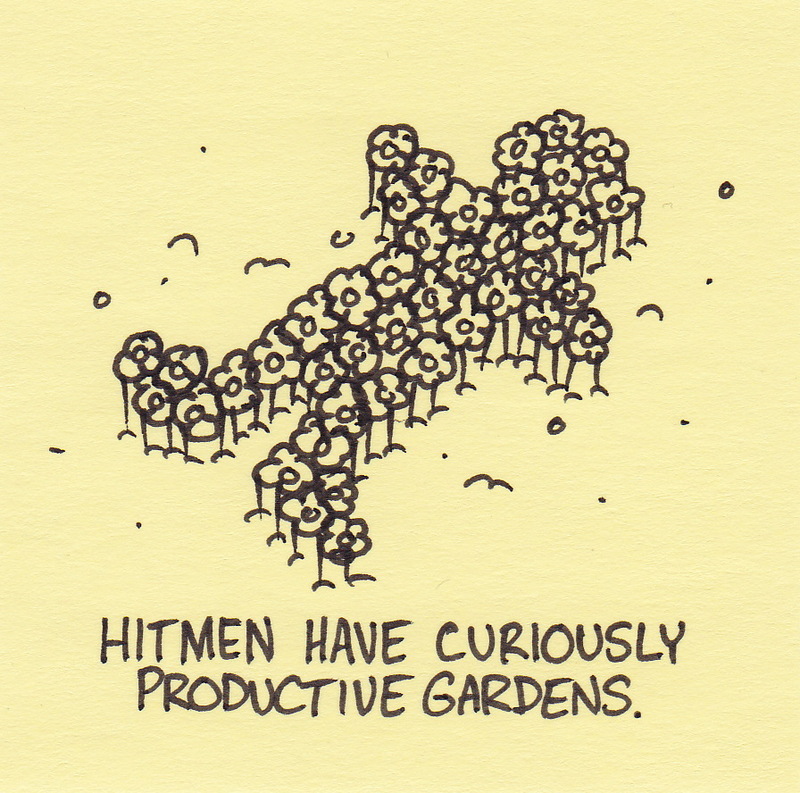 Hitmen have curiously productive gardens. Our garden is actually doing pretty well this year (which is a change from the past two years when either the weather or the local moose population decided to ruin everything). This year I built some raised beds for the vegetables. The peas were especially hit hard by the moose last year and I wanted to design something to keep them safe. I ended up with a contraption that is strong, sturdy, and will do it’s job. I also did it in the most complicated way possible – proving once again that I possess a Y chromosome. 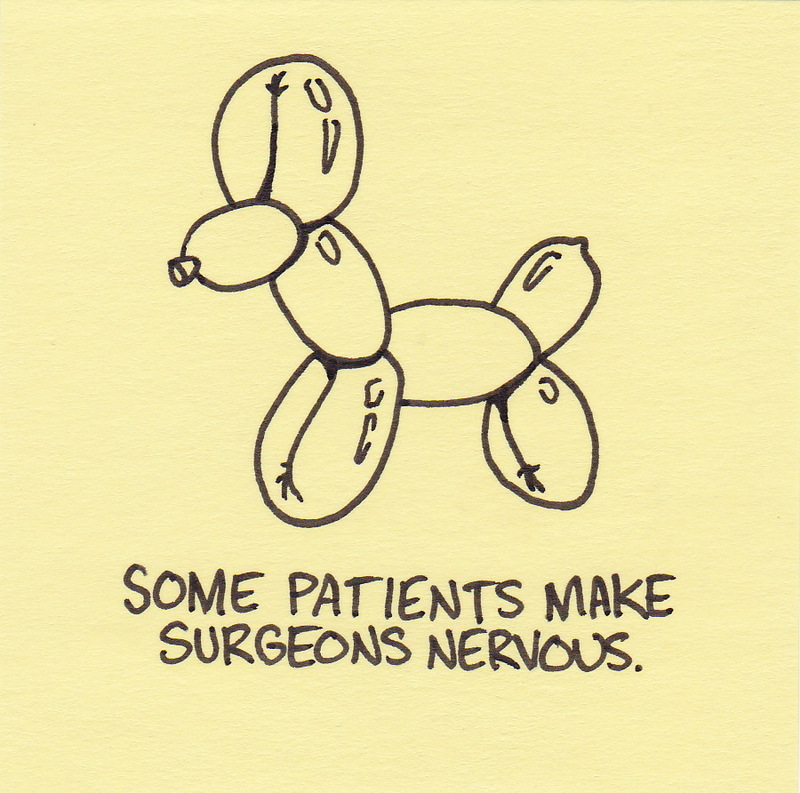 Some patients make surgeons nervous. When I had surgery last spring, the doctors inflated my abdomen to create more room for maneuverability. As far as I know, they didn’t twist me into different balloon animals while I was still under anesthesia. It sure did feel like it though. 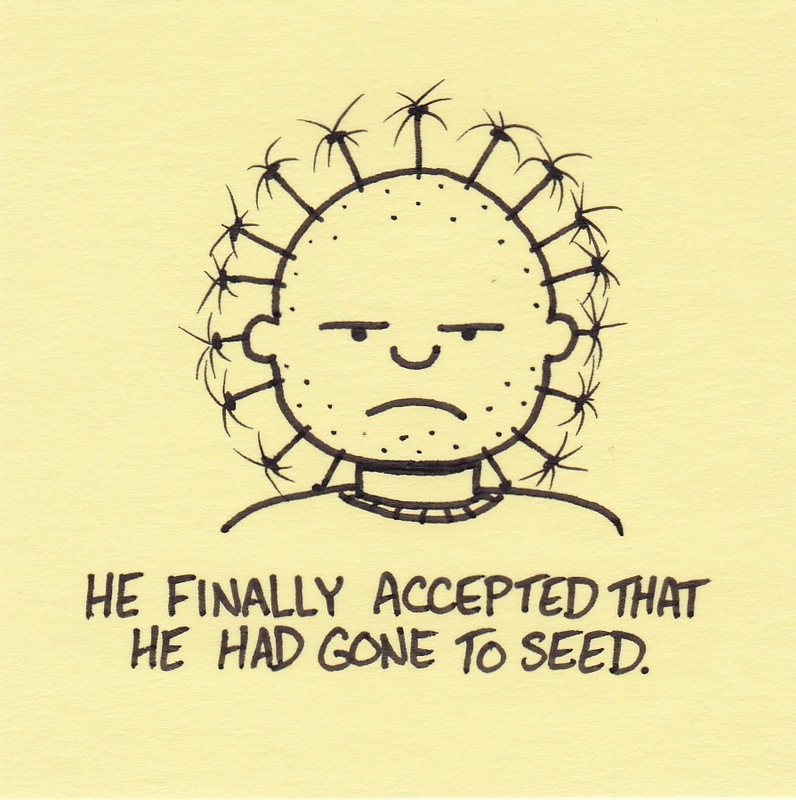 He finally accepted that he had gone to seed. Earlier this week I was watching Sesame Street with my daughters. Part way through the show was a clip that had a guest star singing with Elmo. I had no clue who he was. Not even an inkling. I’m under no illusions. I don’t think of myself as particularly trendy anymore. I can accept not recognizing all the bands on Saturday Night Live… but Sesame Street?! When did Sesame Street’s target audience of 3-5 year olds get cooler than me? 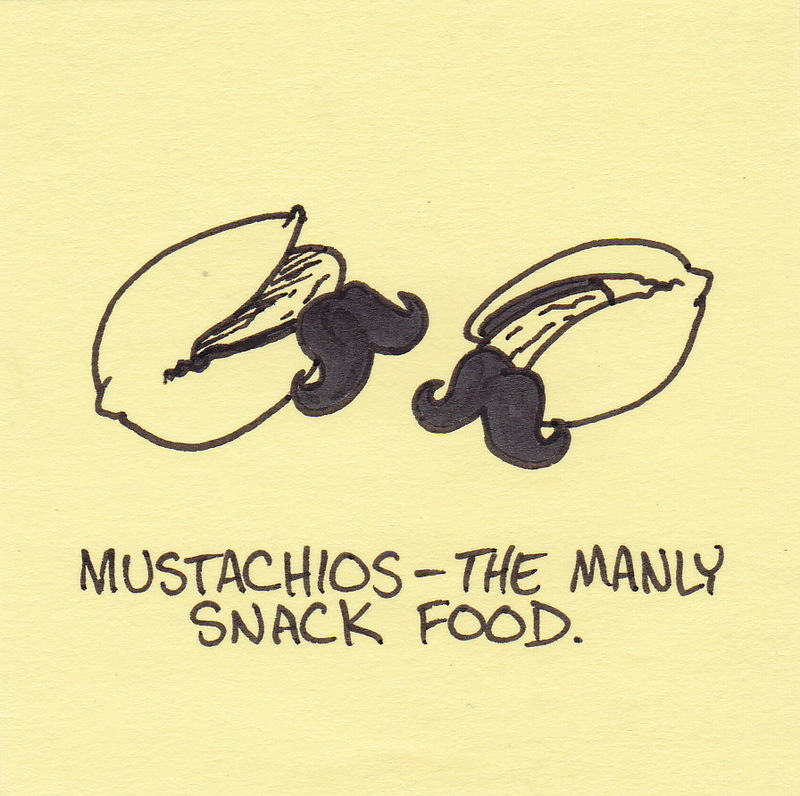 Mustachios – the manly snack food. Would any snack really be worth the effort of both shelling AND shaving? You are currently browsing the Inkjot blog archives for June, 2012.